Sky Sports 4 will become Sky Sports Ryder Cup on Monday 26 September as part of the pay TV giant's coverage of the golf tournament between the USA and Europe. 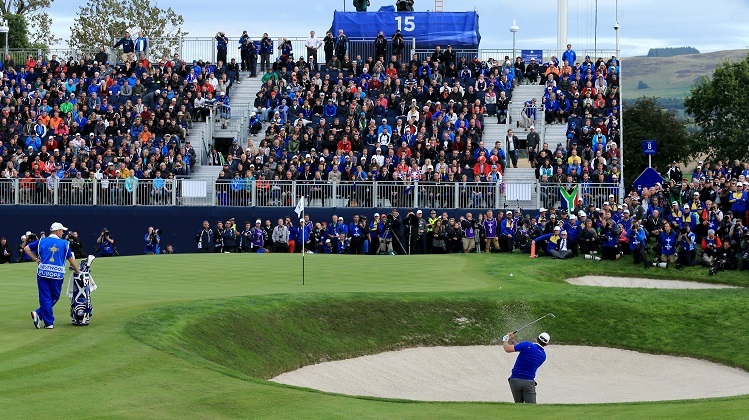 The channel will offer viewers ten days of bespoke programming primarily focusing on live coverage, highlights, breakfast shows, archive material and Ryder Cup specials. All three days of competition will be shown exclusively live on Sky Sports and play will also be simulcast on Sky Sports 1 from Friday to Sunday. Sky Sports Mix - the new channel available to all Sky TV customers and some cable viewers - will broadcast live coverage of the opening ceremony as well as a selection of support programming including a new documentary on European captain Darren Clarke and the Ryder Cup Breakfast show. "The Ryder Cup stands alongside the biggest sporting events in the world and it is only right that we have a channel on Sky Sports for our viewers to soak in the excitement it creates. 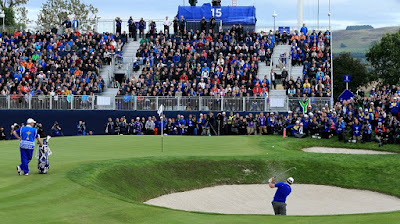 By offering fans ten days of Ryder Cup programming we hope to capture all of the history, passion and drama from what should be a boisterous American crowd and a fantastic competition."